Osama Bin Laden filled news headlines for a decade. Was his assassination enough to deter Al-Qaeda? The mastermind of the transnational terrorist entity was killed by UN Navy SEALs in a Pakistani compound near a military academy in May 2011. One anticipated outcome was the absence of a long-term planner for the movement, which would lead eventually to the collapse of Al-Qaeda and a successful conclusion to the "war on terror" era. Ironically, Bin Laden's killing coincided with the eruption of the so-called Arab Spring uprisings by some Arab populations against authoritarian regimes that ruled them for decades. The phenomenon led to the spread of Al-Qaeda-linked, or inspired groups, as many Arab Spring countries failed to create strong, well-established institutions capable of accelerating the new state-building process. A yearning for democracy was soon enough converted into a bare need to bring safety to Arab citizens. "Bin Laden's death hurt Al-Qaeda but not fatally," Bruce Riedel, who served as an expert advisor to the prosecution of Al-Qaeda terrorist Omar Farooq Abdulmutallab in Detroit, told Ahram Online. Riedel, an ex-advisor to US President Bill Clinton, argued that Ayman Al-Zawahiri, Bin Laden's right hand man and successor, took bin Laden's place "smoothly." 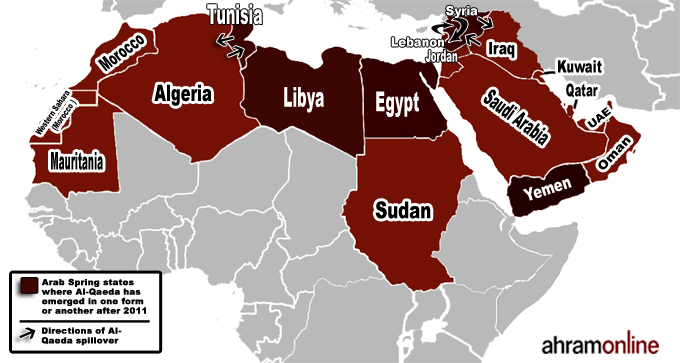 "The 'Arab Spring' opened up opportunities in many Arab states for Al-Qaeda affiliates and sympathisers to flourish, like in Libya, Syria, Yemen and Egypt," Riedel notes. "That process is likely to continue for a long time." Other Arab states, such as Lebanon and Iraq, escaped uprisings yet didn't escape terrorism, making the phenomenon complex to analyse. Some Arab Spring countries, such as Yemen, suffered the Al-Qaeda headache for years ahead of their popular revolts. Katherine Zimmerman, senior Al-Qaeda analyst for the American Enterprise Institute, said that Arab regimes, such as that of Egypt's Hosni Mubarak, had "little tolerance" for Al-Qaeda sympathisers, cracking down on Islamists domestically. "Their fall from power created an opening for Al-Qaeda groups. These groups also benefited from the release or escape of Islamist leaders from prison in 2011 and 2012. Muhammad Jamal, for example, gained his freedom in Egypt and then reached out to old comrades in Yemen for assistance in establishing his group," she stated. "These groups will continue to seek to expand." Syria is home to over 1,000 rebel factions, Aymenn Jawad Al-Tamimi, a fellow at the Middle East Forum, told Ahram Online. Some of the main ones, including the Supreme Military Council, the Free Syrian Army, Jaysh Al-Mujahideen, the Syrian Revolutionaries Front, the Islamic Front, Jabhat Al-Nusra, and the Islamic State of Iraq and Ash-Sham (ISIS), have been formidable forces fighting on the frontlines against Syrian President Bashar Al-Assad's troops and his allies since 2011. With unclear political command lines and a clear lack of group cohesion, ultra-conservative militant groups, which once appeared as one bloc, have only in the past few months emerged fragmented and beleaguered by infighting. On 9 April 2013, Iraqi Abu Bakr Al-Baghdadi, the emir of the Islamic State of Iraq, the precursor to ISIS, declared a merger between his group and Al-Nusra. Al-Nusra rejected the merger, renewing its pledge of allegiance to Al-Qaeda chief Ayman Al-Zawahiri. Having always been Al-Qaeda's rightful branch in Syria, which ISIS tried to co-opt, Al-Nusra's refusal, nonetheless, created "one of the major splits within the history of the global jihadist movement," Al-Tamimi said, mainly because both groups share the same political programme. In a recent article, Aaron Zelin, Richard Borow Fellow at The Washington Institute, said that open warfare between conservative rebel groups and ISIS has widened since early January 2014. He added that Zawahiri's announcement 2 February officially disavowing ISIS of its command might "create a scenario in which war between the two is more likely." Al-Tamimi makes a similar prediction for "wider infighting" between both groups who were previously trumpeted in their leaders' public speeches as Al-Qaeda affiliates. He, moreover, identifies a stark discrepancy between open and closed jihadi source material on the groups' relationship. "In open source, the tendency has been to cheerlead both Al-Nusra and ISIS as 'brothers' who hold the same ideology, but on password protected forums there have been very fierce debates from the beginning, with some of the pro-ISIS even going so far as to accuse Al-Nusra's leader Abu Mohammed Jowlani of apostasy and lying about a 'renewal' of his pledge of allegiance to Zawahiri," he said. Zimmerman argues that the main problem does not lie in the multiplicity of Al-Qaeda affiliates. Rather, "the challenge has been the fighting between the groups. Part of Al-Qaeda's mission has been to support the growth and development of local movements — this has been ongoing since the early 1990s," she tells Ahram Online. One fatal result of the jockeying for power by competing forces was the occupation of Raqqa in northeast Syria — the first Syrian provincial capital to fall to rebels. On 4 March 2013, the town was left an undefended turf open for anyone's capture when regime forces lost a battle to several rebel groups and then retreated. At first run by two simultaneous administrations, then by Al-Nusra, the latter was soon run out by ISIS, which wrested power from all competing groups. It was not long before ISIS took Raqqa as its stronghold and tried to turn it into strict Islamic state. Souad Nofal, one of a bevy of local prominent activists who fought for the town's restitution from ISIS, told Ahram Online that the group's presence became blatantly apparent seven months in. Nofal was shot at and forcibly driven out of Raqqa for staging a one-woman protest for two months and nine days, after an initial demonstration plan was called off by youth activists out of fear of a violent dispersal, in front of ISIS's headquarters. She said their forces are still pursuing her until today. Under ISIS's administration, the citizens of Raqqa suddenly found themselves running the gauntlet of an endless stack of abuses and violations. Nofal cited over two dozen, including wiping out any opposition, once by blowing up a brigade's headquarters; performing public executions; turning churches to daawa (political preaching) centres; opening fire on protests; banning media; forming fighting training camps for youth beginning from the age of 10; imposing the niqab (full face veil) on women and tasking a special woman police force with monitoring their dress. "Raqqa has been emptied of its people who fled fearing for their lives," Nofal recounted, "ISIS has adopted the same policies of the murderous regime, which they have never directly fought. They are a poison dagger pointed at the revolution." ISIS has other strongholds in Al-Bab, Azaz, Jarabulus and Manbij in Aleppo province. 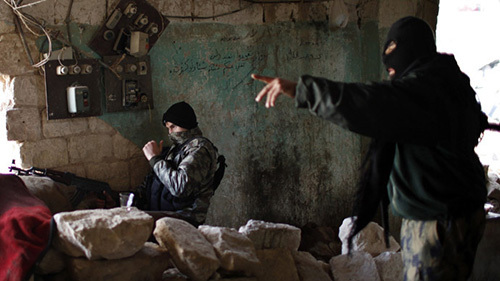 Al-Tamimi delineates the differences in Al-Nusra and ISIS's management of their strongholds. Backed by extensive financial resources, ISIS is focused on building its proto-state and caliphate and is willing to use militancy. Al-Nusra lacks a strong grip on its strongholds and is poor on demonstrations of state building, but is known for its pragmatism. ISIS has also come into conflict with the Free Syrian Army (FSA), the Syrian opposition's moderate rebel force on the ground. Spokesperson of the FSA Fahad Al-Masri said that the army did not recognise ISIS as a legitimate rebel group, and have even laid down a strategy for their expulsion from Syria. He has reason to believe that the ISIS now controlling parts of Syria is the birth child of Al-Qaeda having emerged following a series of Al-Qaeda prisoner releases and smuggling from Sednaya and Abu Gharib prisons. Speaking to Ahram Online in March of last year, former spokesperson of the Syrian National Council (SNC) Basma Kodmani also alleged that Al-Assad released Al-Qaeda jihadists just as Islamist extremists started appearing within the ranks of rebel fighters. "The elimination or weakening of Al-Qaeda and its affiliates requires an international will power wanting to illuminate the makers and exporters of terrorism, including the Syrian regime at its head and then moving towards the Iranian regime," Al-Masri said. "This will cut off the groups' sources of funding. The fall of the Syrian regime will end terrorism from Shia Iran represented by Hizbullah and the Iraqi armed Shia movements supported by Iran." It is no secret that the Syrian crisis developed into a regional conflict with geopolitical reprecussions on Damascus's neighbours, including Lebanon. For Lebanon, this has been part of an ongoing Sunni-Shia clash over dissimilar positions towards Syria that produced nothing but bombs on both sides of the story. The government itself recognised the dilemma. Lebanon's lately-outgoing Prime Minister Najib Mikati denounced the terrorist car bomb that killed four and injured 30 in Hermel city on 1 February. But where does Al-Qaeda fit into this picture? Al-Nusra Front in Lebanon claimed responsibility for the car bomb in the Hizbullah stronghold at the northern end of the Bekaa Valley. 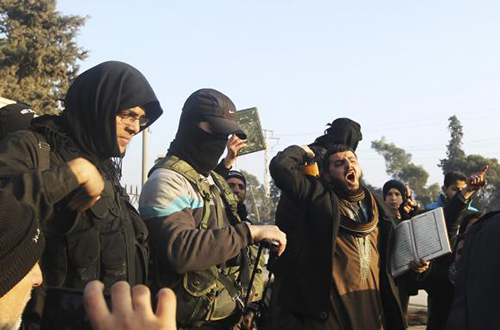 Al-Nusra, in a statement, warned Sunnis to avoid all areas where Hizbullah operates. 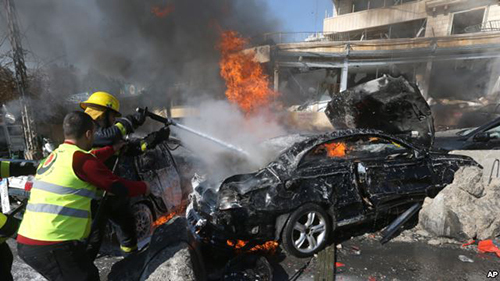 Also, Wednesday's 19 February double-bombing attack on an Iranian cultural centre in Beirut was claimed by the Abdullah Azzam Brigades, a jihadist group inspired by Al-Qaeda. In that vein, it appears that Sunni political forces are not fond of Al-Qaeda's growing role in the country that fears the appearance of a new civil war after coming out of a heartbreaking conflict that lasted from 1975 until 1990. Former premier Saad Hariri, who heads the anti-Syrian Future Movement, said in a statement that Lebanese and Sunni sects refuse to be part of any war between Hizbullah and Al-Qaeda, rejects that civilians are a target in this war, and condemns its dangerous "repercussions on national and Islamic unity." Evidence of Al-Qaeda presence Lebanon came in a five-minute recording in January, from a Lebanon-based Sunni militant with alleged links to Al-Qaeda who declared allegiance to ISIS and called on the radical group to "reactivate its cell" in the country. "We pledge allegiance to the prince of the believers, Abu Bakr Al-Baghdadi ... and we ask him to guide us past the obstacles, and make us your spearhead in crushing your enemy, and not a single man among us will hold back in helping you," AFP quoted Ansari as saying. The Lebanese army managed to make two major arrests of Al-Qaeda leading figures during the last period. The first was in December of Al-Qaeda linked leader Majid Al-Majid who died of kidney failure in a Beirut hospital. The second was this month, of Naim Abbas whom officials described as a "mastermind of car bombs" targeting Shia areas. Security sources told Reuters that Abbas admitted his organisational task. Sahar Atrache, a Beirut-based Lebanon analyst with the International Crisis Group, said that the Lebanese state is "eroding, [and] its institutions are paralysed ... a militia culture has been revived and it is uncertain how Lebanon can resist all the shockwaves coming from Syria." However, Atrache believed that no political party intends to challenge the political system, at least in the near future, which she described as a "power-sharing" system. She stated that the roots of growing Sunni extremism "go much deeper," being a consequence of radicalisation of both Sunnis and Shias that started with the Iraq war, but hastened greatly with former Prime Minister Rafiq Hariri's assassination in 2005 and the country's subsequent crisis. "Undoubtedly, the Syrian conflict constitutes a catalyst for the rise of jihadi groups in Lebanon. It has led to teh empowerment of Lebanese Islamists, facilitated the access of extremist Salafists to funding, allowed smuggling of weapons and militants across the borders as they become less controlled, and spread the feeling that Hizbullah's power could be challenged. Hizbullah, by joining the Syrian war, gave its opponents a direct motive to attack it," Atrache concluded. The conflict in Anbar is automatically evoked when thinking about Al-Qaeda in Iraq. Security forces cleared a year-long Sunni protest camp on 30 December, causing the eruption of fighting near Ramadi and spreading to Fallujah. Sunni militants took partial control of Anbar and Fallujah with the support of Sunni tribesmen who founded the Sahwa (Awakening) militias, armed groups that allied with US troops against Al-Qaeda in late 2006. These events were the first time anti-government fighters exercised open control since the height of the rebellion against the Shia government of Nouri Al-Maliki. "I ask the people of the province — the tribes, the notables, and all who live there — to be ready to take a stand, to take serious action against those dirty people, without making any sacrifices," Al-Maliki said in his weekly televised address in January. The government did not stand still though; airstrikes and artillery fire were launched in Fallujah against Sunni militants associated with ISIS. US Vice President Joe Biden praised Al-Maliki's efforts to integrate tribal forces against Al-Qaeda into state security forces after a phone conversation with him in January, and to compensate those injured and killed fighting militants. Majid Rafizadeh, a scholar at Harvard University, highlighted the interrelation between the situation in Iraq and the war in Syria, saying that the latter "brings negative repercussions for stability and security in Iraq and a ripe environment for insurgents." But he pointed to rising tensions between Islamist groups. "We should understand that the picture is not black and white; there have been tensions among different Al-Qaeda linked groups as well. For example, Al-Qaeda's central leadership announced recently that they have officially cut ties with the ISIS, a powerful jihadist group in Syria," Rafizadeh said. Discussing Al-Qaeda's existence in the North Africa region often is a source of controversy. The relationship between North African terrorist groups and the mother organisation remains incompletely understood. The case of Libya is the most alarming. New government authorities are struggling to create a stronghold over armed tribes and militia groups that went out of control after the NATO-backed removal of Muammar Gaddafi's regime by an uprising that turned bloody three years ago. Evidence for this tragedy was the abduction by armed men of Prime Minister Ali Zeidan in 10 October 2013 from Tripoli's Corinthia Hotel where he lives. The kidnapping did not arise of the blue. It took place five days after US commandos captured senior Al-Qaeda suspect Abu Anas Al-Libi and transferred him to a warship, a step that embarrassed the government and was denounced by Zeidan himself. Though Zeidan was released on the same day, daring to kidnap the country's head of state indicated the seriousness of the security situation. One month later, Libya's deputy intelligence chief was kidnapped outside Tripoli Airport with no group claiming responsibility. 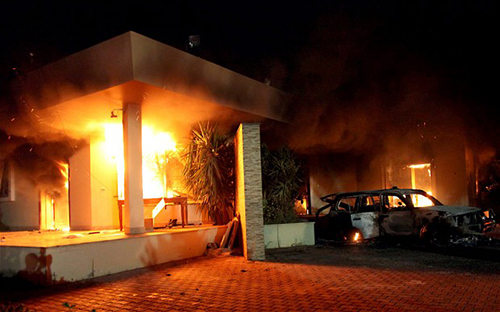 The biggest blow was the attack on the US mission in Benghazi in which four embassy staff were killed, including US Ambassador Christopher Stevens. "I don't think that it is entirely clear whether Al-Qaeda elements were involved; but those who carried out the attack certainly were extremist and highly anti-American," said Wayne White, a former State Department official whose tasks involved the Middle East. White, who personally knew Stevens, asserted that the absence of "proper central governance" provides the "typical circumstances" that allow Muslim extremists, whether Al-Qaeda or independent militias with similar leanings, to emerge. He highlighted some regional implications for the security vacuum in Libya. "Another centre of extremist activity is the mostly lawless southwest corner of Libya in the vicinity of Sebha where even neighbouring countries like Algeria, Mali and Niger are unable to control their sides of the border," White stated. White also noted that "Libyan extremists" in the desert's southwest provide arms and sanctuary for Al-Qaeda in the Islamic Maghreb. "Many localised militias not only defy the central government, but also fight each other — even on the streets of Tripoli — for territory. The Al-Qaeda related or terrorist dimension functions rather easily in such a disorganised and militia-dominated environment simply as another (or several) of these many largely independent militias that refused to disarm after Gaddafi's overthrow," he asserted. On 10 January, the State Department listed three groups called Ansar Al-Sharia as separate foreign terror organisations and targeted their leaders with sanctions, The Wall Street Journal (WSJ) reported. The WSJ mentioned that two of them are based in Libya and were "separately created" after Gaddafi's fall and are responsible for the attack on the Benghazi diplomatic mission. 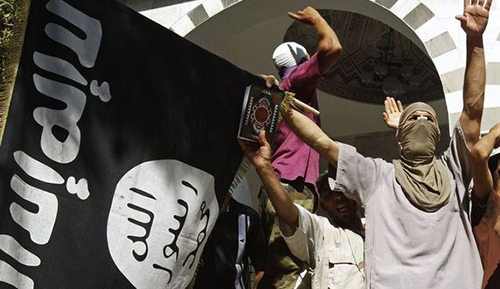 The State Department mentioned that Ansar Al-Sharia in Tunisia was listed as well. Here enters Tunisia, the Arab Spring pioneer that battled militants from Ansar Al-Sharia that attacked the US embassy in 2012, a situation that arguably comes close to that of Libya. The movement has been active in the Mount Chaambi region, close to the border with Algeria. Zeidan, Algerian premier Abdelmalek Sellal and Tunisia's ex-prime minister Hamadi Jebali decided to reinforce border security and join forces during a meeting in the southern Libyan oasis of Ghadames in January 2013. The decision involved an 11-point plan to "create common border checkpoints and intensify cooperation in the security sphere through joint patrols," and vowed as well to tackle organised crime and terrorism. Youssef Cherif, a Tunisian writer on North African affairs, believed that Ansar Al-Sharia is "taking over from Al-Qaeda" in the region. "It's like Al-Qaeda 2.0," he said. Tunisia's Islamist Ennahda party, which headed the Tunisian government until recently, had accused Al-Qaeda of killing the two opposition leaders Mohamed Brahmi and Chokri Belaid. "That's what the ministry of interior said, that Al-Qaeda was involved. Ennahda sympathisers accuse the old regime and speak of a conspiracy; while their opponents accuse Ennahda of being behind the killings. But it is very early to make conclusions, as is often the case with political assassinations," Cherif concluded. In Egypt, resurgent violence, reminiscent of an Islamist insurgency that flared in the 1990s and early 2000s, is back — this time, set off by the ouster of Islamist president Mohamed Morsi on 3 July 2013. Ansar Beit Al-Maqdis, a previously little known Sinai-based group, claimed responsibility for a string of well-orchestrated fatal attacks including a bomb blast targeting a tourist bus in the Red Sea resort town of Taba, two car bomb blasts targeting the security headquarters of Cairo and Nile Delta city of Mansoura, the attempted assassination of Interior Minister Mohamed Ibrahim, and the downing of a military helicopter over Sinai. The group is thought to be inspired by Al-Qaeda in its ideology and made up of Egyptians returning from fighting abroad. Eman Ragab, senior researcher at the Security and Strategic Studies Unit of Al-Ahram Centre for Political and Strategic Studies, stated that the group is endorsed financially by Hamas, based in neighbouring Gaza. "If we take the issued statements as articles of faith, then there is a link between Al-Qaeda and Ansar Beit Al-Maqdis. Yet, on an organisational level, we are yet to confirm the tie, despite the presence of several Al-Qaeda cells in Sinai," Ragab told Ahram Online in a phone interview. Ragab, however, notes a tactical difference in the way the operations of both sides are carried out. While Al-Qaeda militants must undergo intensive training, Ansar Beit Al-Maqdis have been shown to recruit from the ranks of students and blue-collar workers and give them minimal training, like driving a van or transporting materials. The group made its first appearance after 2011, striking gas lines in Sinai. Following the dispersal of two main pro-Morsi protest camps this summer, statements released by the militant group called the Egyptian army and police infidels, and issued a clear call for jihad in Sinai and Egypt's governorates in the name of retribution. "It was Morsi's year of lawlessness that led to the jihadists' terrorist, armed and chaotic resuscitation," a Sinai-based journalist told Ahram Online on condition of anonymity. Wayne White of the Middle East Institute, who was a US Sinai Field Mission peacekeeper in the 1970s, spoke of how that the current security vacuum fuelled the emergence of "a particularly dangerous combination" with regards to "the involvement of Al-Qaeda related armed elements in eastern Libya with the smuggling of arms and ammunition to Egypt's dangerous Sinai-based Ansar Beit Al-Maqdis militants." Despite mounting a major offensive in the contested Sinai, on a quasi-daily basis since September, the journalist says that the army has only succeeded in targeting civilian populated villages in the corridor between Al-Arish and Rafah, contrary to its publicly announced victories in defeating terrorism. He says that jihadists often hole up in surrounding mountains. "The incompetence and powerlessness of the government in cracking down on these jihadists only exacerbates the situation and strengthens them," he added. The first official engagement of the army in Sinai came in the summer of 2011, in what was dubbed Operation Eagle. Another, Operation Sinai, was launched under Morsi after 16 Egyptian soldiers were killed at gunpoint by militants on 5 August 2012 near the Rafah border. Though attacks had until recently only targeted security institutions, the latest attack is a throwback to the early 2000s when tourists were mostly targeted. From 2004 to 2006, more than 140 civilians — mostly tourists — were killed in blasts in the towns of Taba, Dahab and Sharm El-Sheikh. Many jihadists in Egypt benefited from mass prison escapes in the years since the 2011 uprising. Zimmerman names jihadist Muhammad Jamal who gained his freedom upon escaping an Egyptian prison in 2011 and then reached out to former comrades in Yemen for assistance in establishing his own militant group, the Muhammad Jamal Network (MJN). MJN was listed on the UN Security Council's Al-Qaeda Sanctions List as an Al-Qaeda terrorist group on 21 October 2013. 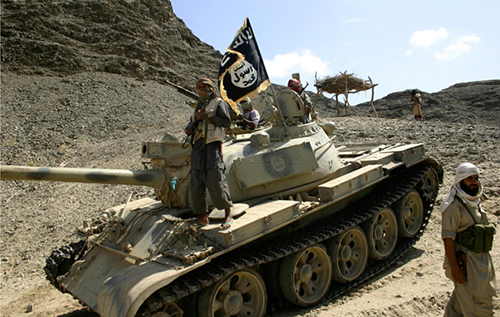 Members of Ansar al-Sharia are seen near a tank taken from the army, as they guard a road leading to the southern Yemeni town of Jaar (Reuters). A result of a merger between Saudi Arabia and Al-Qaeda cells in Yemen, the Al-Qaeda in the Arabian Peninsula (AQAP) was formed in January 2009, based on a cadre of top professional jihadists, leaders and operatives. 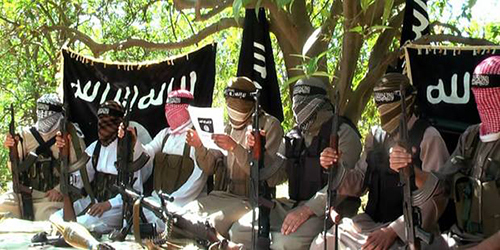 A second front group to emerge is Ansar Al-Sharia, which has a broader, more locally-focused membership. This front is responsible for "local recruiting, smuggling, and interfacing with Yemeni tribes," says Christopher Swift, adjunct professor of national security studies at Georgetown University. "This two-tiered approach reflects AQAP's commitment to building sustainable relationships within Yemeni society, rather than simply imposing its will through fear and coercion," Swift told Ahram Online in interview. Having traditionally had a stronghold in Yemen, Al-Qaeda elevated the small country's role by Zawahiri's appointment of Nasir Al-Wuhayshi, the emir of AQAP, as his deputy last year, thereby catapulting the emir into the group's core leadership. In his expert testimony to the US Congress on 4 February, Seth Jones, associate director of the International Security and Defense Policy Centre of the RAND Corporation, cites data from the Global Terrorism Database indicating that violence caused by Al-Qaeda affiliates has been highest in Yemen, followed by Somalia, Iraq and Syria. Despite that, Swift attests that AQAP members only number 2,000 to 3,000 members in the country of 23 million, and have not shaken Yemen's transitional process. Unlike in other Arab Spring states, AQAP has put itself on the side of the Yemeni lately-concluded national dialogue, which ended with an agreement to form a six-region federation. Swift says that AQAP supported calls for secession provided the Yemeni Socialist Party leadership in the south establish an Islamic emirate on Al-Qaeda's terms. However, they opposed the Gulf Cooperation Council's intervention in the dialogue, viewing it as "unwelcome by the allegedly apostate monarchies to Yemen's north and their infidel allies in Europe and North America," he said. Since mid-2011, US counterterrorism operations led by both the Pentagon and the Central Intelligence Agency (CIA) have been conducted in Yemen against AQAP and Ansar Al-Sharia, the Bureau of Investigative Journalism notes in its investigations portfolio entitled "Covert Drone War." Three US drone strikes have already been conducted this year, 26 in 2013 and 41 in 2012 according to the Long War Journal, which tracks US counterterrorism efforts. From 16 covert US operations carried out last year, an estimated 16 to 23 civilians were killed from a targeted average of 80, the Bureau of Investigative Journalism reported. Though considerable resentment has surrounded the campaign, for often missing the target and hitting civilians, Swift, who spoke to Yemen's tribal and religious leaders as part of field research in Yemen for a forthcoming book, said they "acknowledged that the drone campaign was hurting Al-Qaeda more than it was helping it." "These men were justifiably enraged when a strike went awry, but also recognised the value of suppressing and degrading Al-Qaeda's forces," he added.